Pullipulikalum Attinkuttiyum malayalam movie directed by Lal Jose features Kunchako Boban and Namita Pramod in lead. Irshad, Shiju and Jojo also will be seen in supporting roles. Produced by Shebin Bekker and Sulfi Aziz under the Banner of Balcony 6, the movie will be distributed by LJ films. The shooting of the movie will start on 12th May at locations set at Kuttanad. Kuttanad known for its picturesque beauty is one the main attraction of tourists from around the world. The luxuriant natural beauty drives people onto its heart making it the paradise on earth. It had been the home of people sharing common culture, living a harmonious life for centuries. Now film maker Lal Jose is on the way with his team to Kuttanad for shooting his next venture. Titled 'Pullipulikalum Attinkuttiyum', the movie will be set against the backdrops of Alappuzha. Featuring Kunchako Boban and Namita Pramod in lead, Irshad, Shiju and Jojo will be seen in supporting roles. Lal Jose who is known as the director of the mass is widely appreciated for his unique ability to choose themes which are totally different from each other. His movies like Classmates, Chanthupottu and Arabikatha got well accepted among the audience. His recent flick Immanuel featuring Mammootty in lead is running successfully and has already been declared a block buster. After "Elsamma Enna Aankutty and "Spanish Masala", now it is 'Pullipulikalum Attinkuttiyum' which bring Lal Jose, Sindhu Raj and Kunchacko Boban together. Scripted by Sindhuraj, the movie 'Pullipulikalum Attinkuttiyum' will be a turning point in the acting career of Kunchacko Boban. The movie is themed around the story of four brothers. Irshad, Shiju and Jojo play the role of elder brothers while Kunchacko Boban is the youngest of them. His might brothers (Pullipulikal) will be seen donning characters who do take advantage of their innocent youngest sibling. 'Pullipulikalum Attinkuttiyum' will be a complete entertainer with great importance given to humour. After 'Spanish Masala', Kunchacko Bioban became more selective in choosing new projects as he wish to do only five movies in a year. Young actress Namitha Pramod would share screen space with Kunchako Boban who had already paired with Dileep and Nivin Pauly. More interestingly, as the shooting is done at Kunchako's hometown Alappuzha, he it would be ease for him to go from home for the shoot and be back after the work of the day is completed. Produced by Shebin Bekker and Sulfi Aziz under the Banner of Balcony 6, the movie will be distributed by LJ films. 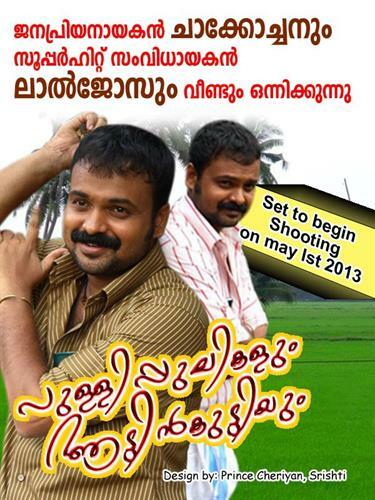 The shooting of the movie will start on 12th May at locations set at Kuttanad.